Mercedes-Benz S-Class Coupé Performance, Engine, Ride, Handling | What Car? 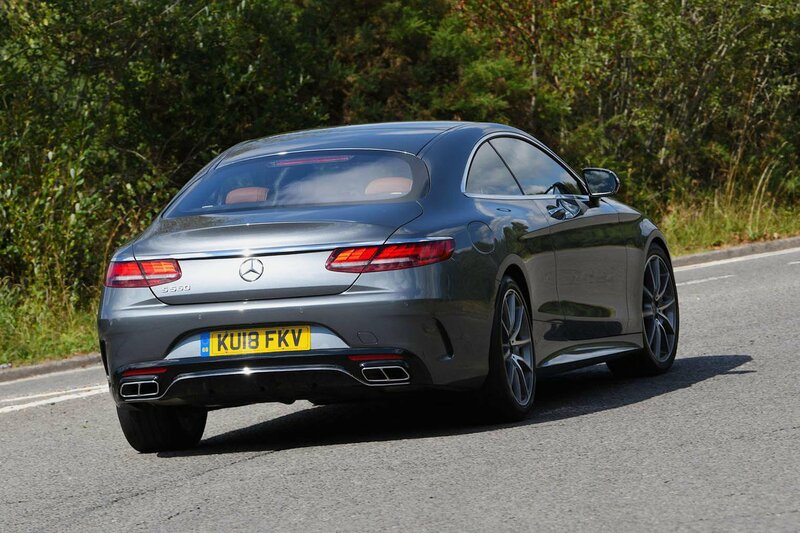 First off, let's be clear: there’s nothing ‘entry level’ about the S560's V8 engine. It's a brilliantly refined motor, emitting little more than a muffled V8 warble under light acceleration that rouses to a more guttural – but still wholly dignified – woofle when you give the right pedal a healthy prod. 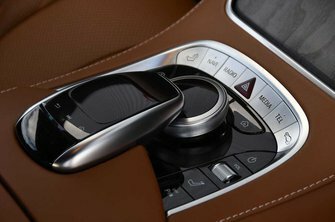 Mercedes' nine-speed dual-clutch automatic gearbox is intelligent enough to rely on the S560's massive 516lb ft of pulling power rather than changing down unnecessarily when accelerating, although choosing one of the sportier driving modes encourages the gearbox to keep the engine revving harder in the lower gears. In Sport and Sport+, accelerator pedal response is improved, too, and the S560 can hit 62mph from a standstill in just 4.6sec. Sport mode also adds weight to the steering and stiffens the S560's standard air suspension, and just as its 0-62mph time is scarcely believable, it’s certainly eye-opening how ably the big S-Class can corner. Don't get us wrong: you can feel that it's a two-tonne machine and its reactions are never as immediate as an Aston Martin DB11’s, but the way the S560 maintains a relatively level body in corners makes it more fun to drive than you might imagine. There's even an optional Curve mode, which actively counters body roll and tilts the car towards the apex of bends to counter the unruly G-forces acting on you and your passengers. You can actually see it working in our main picture on the previous page, but the experience is very similar to those high-speed trains that tilt into bends to stop your tea from sloshing everywhere. Yet the S-Class Coupé feels at its best at a steady and stately cruise. Switch to Comfort mode and the suspension almost breathes a relaxed sigh as it softens, the steering slackening slightly and the exhausts becoming a little more muted in the process. It wills you to breathe more calmly, too, as you're soothed from A to wherever B happens to be. Large speed bumps are soaked up easily and without too much pitch and dive from the body, while typically scruffy British road surfaces glide beneath you with only a subtle, easily ignored shiver. It's only over sharp-edged potholes, particularly when cornering, that you feel a shudder. Otherwise, the S560 is cosseting and indulgent, with very little wind and road noise to upset its stress-relieving modus operandi. Things are a little more rabid in the bonkers-fast S63, but only when you want. This car has a serious amount of power on offer – 604bhp, in fact – and squeezing the accelerator in Sport+ mode delivers all that oomph with an incredibly orchestral soundtrack that borders on full-on Nascar. 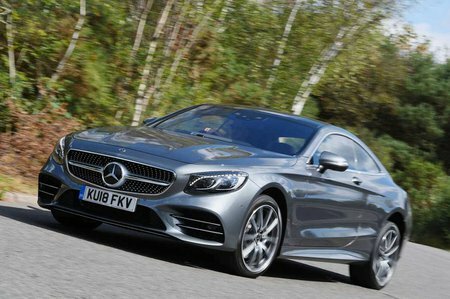 The brutal acceleration can be tempered when required, and in Comfort mode the S63 remains brisk but with a more chilled bent. It is to the S63’s great credit that it can offer these two diametrically opposed extremes so apparently effortlessly. It’s a similar story with the ride. It gets a different, more aggressive suspension set-up from AMG, but it’s still staggeringly comfortable, with the different driving modes helping the car to be both a comfortable mile-cruncher and a sharper-focused play, all at the press of a button on the centre console. It's still more about creating theatre than matching the more genuinely capable handling abilities of the DB11, but for those looking for a comfort-biased grand tourer, the S63 is still deeply impressive. We have yet to drive the S65, but expect more performance. For most buyers, though, the S560 is more than good enough and looks almost like good value next to the pricier AMG models or its rivals, including the DB11 and Bentley Continental GT.